AS the Australian Defence Force’s F88 Austeyr marks its 20th year of service, plans are on several drawing boards to ensure the rifle will soldier on for at least another two decades. In late August, Thales Australia signed the first of a three stage contract with and the Defence Materiel Organisation for the enhancement of the F88 Austeyr rifle system under the Land 125 Soldier Combat System Project (Project Wundurra – Aboriginal for “Land Warrior”). Thales Australia’s managing director Chris Jenkins said the contract marked the beginning of a new phase in the impressive history of small arms development in Australia. “Thales is proud to be associated with the ADF’s soldier modernisation program, and this contract is testament to the skills, creativity, and engineering excellence of our team at Lithgow and our Land and Joint Systems division,” he said. The Austeyr – short for “Australian Steyr” - is based on the Steyr AUG - Armee Universal Gewehr, which translates as “universal army rifle” - designed and manufactured in the 1970s by famed Austrian rifle manufacturer Steyr Mannlicher GmbH & Co KG. Although the Steyr AUG is in service with the armed forces of Argentina, New Zealand, Luxembourg, Malaysia, Indonesia, Saudi Arabia, Tunisia, Pakistan and the United States Customs and Enforcement Agency, Australia is the only country to manufacture its own version of the rifle under licence. Accepted by the Australian Defence Force as its general issue rifle after a series of trials in 1988 and entering service the following year, the F88 Austeyr is manufactured and maintained at Thales Australia’s Small Arms Factory at Lithgow in the Blue Mountains west of Sydney. 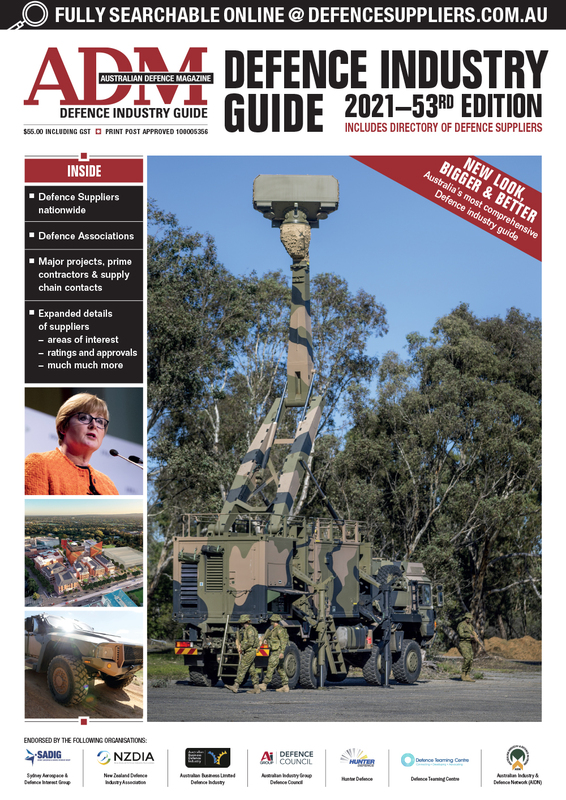 General Manager Soldier Systems of Thales Australia’s Land and Joint Systems Division Malcolm Perkins said that under Project Wundurra the Austeyr would ultimately evolve in to a core sub-system for a range of innovative systems and capabilities currently under development. 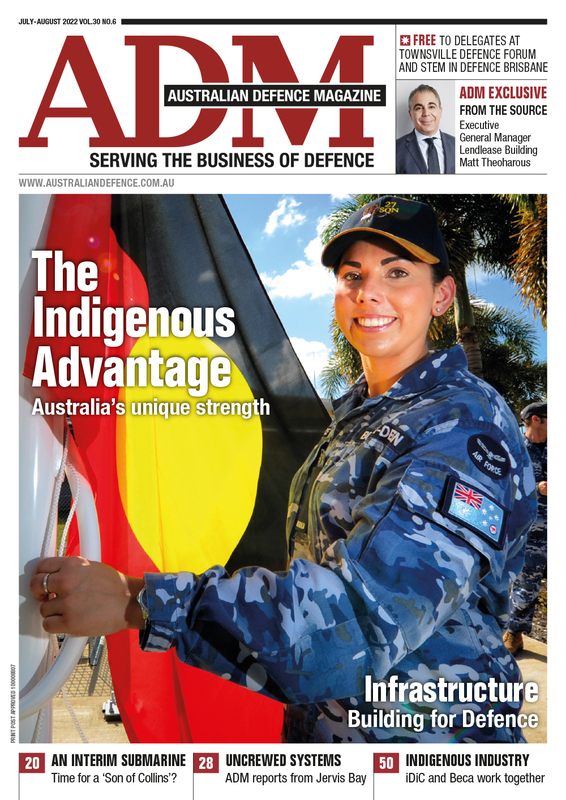 “We are keen to support and partner with the ADF to deliver a world class soldier systems program,” Mr Perkins said. “Our focus on systems integration involves bringing together systems engineering capabilities such as optronics, and communications with rifle manufacturing and support capabilities. “The design development of the weapon system aims to open its architecture and extend in-service life. “Specific benefits are likely to include new optics, improved ability to acquire and engage targets, and enhanced integration of after-market sights and accessories. The F88 Austeyr’s existing and well proven mechanisms, magazine and barrel will essentially remain unchanged and it will continue to fire the conventional Australian-manufactured 5.56x45mm F1 cased ammunition – equivalent to the NATO standard SS109 – for the foreseeable future. However, under Project Wundurra the rifle will be radically transformed to the eye as it is “opened up” to accept an ever growing range of after-market sights and other accessories. The future Austeyr will also almost certainly host internal circuitry to link its bearer to a diverse range of rapidly developing sighting systems as well as a host of non weapon battlefield electronic equipment without their hands leaving the rifle. Thales Australia is working with Kord Defence Pty Ltd to develop a Rifle Input Control (RIC), which is a push button controller attached to the front grip of the rifle, enabling the bearer to operate a range of electronic devices by pressing single or multiple buttons, called chords. “Under this upgrade, the working system of the Austeyr will be kept stable, but it will be open architecture to facilitate the attachment of a range of current and future accessories. It will also look at improving the man-machine interface,” Mr Perkins said. “Thales Australia through a joint research and development project with Kord Defence is taking a simple analogue system and turning it into a digital system. "The Austeyr will effectively become a digital platform. The core of the control technology, the Chordic Graphical User Interface (CGUI), is protected by global patents held by Kord Defence and was originally developed at the Australian Institute of Marine Science (AIMS) for use by divers to control underwater computers. Managing Director of Kord Defence Dr Peter Moran said that during laboratory trials in 2006, the RIC was found to be much more accurate and at least 50 per cent faster than touch screens and “up, down, select” (UDS) systems. Users were also found to be able to operate the RIC virtually eyes-free, with less than one per cent head-down time. “The Rifle Input Control increases the security and safety of soldiers by enabling them to operate a range of devices without taking their hands off the weapon or their eyes off the task,” Dr Moran said. In December last year Thales Australia signed off on a deal to become prime contractor to deliver an undisclosed number of the VIPIR-2 Thermal Weapons Sights, which are manufactured in the UK by Qinetiq, and to supply spares and support. Weighing in at only one kilogram, powered by four AA batteries and suitable for mounting on the Austeyr and all other small arms in service with the ADF, the magnification, settings and all other functions of the VIPIR-2 can be controlled via the RIC. Other equipment being considered by the DMO potentially includes virtually any technology or secondary small arms that can be mounted to a host weapon including global positioning systems, laser range finders and target designators, 40mm grenade launchers and 12 gauge shotguns and even the humble white light torch. Established on the eve of World War I in 1912 to manufacture Lee Enfield No1 MkIII .303 calibre rifles for Australia’s Army and Navy, manufacture of the then futuristic Steyr AUG presented a host of new challenges for the Small Arms Factory, which was owned by the Government’s Australian Defence Industries when the rifle was accepted for service. Only the third standard issue rifle to be built by the factory in its 94-year history – the Lee Enfield was replaced by the L1A1 Self Loading Rifle based on a Belgian design in the 1960s – the F88 Austeyr was like something out of a science fiction comic when compared to its predecessors. The F88 Austeyr is a six component modular design that makes extensive use of injection moulded glass fibre-reinforced polymers and advanced alloy components and “bullpup” configuration places the weapon’s working parts behind the trigger. The original F88 was permanently fitted with a Swarovski Optik designed windage and elevation adjustable 1.5-power optical sight with simple fixed iron sights cast with the steel-reinforced aluminium extruded receiver as an integral carry handle. That scope has a black ring reticle which also acts as a simple but effective rangefinder – at 300 metres a 177cm tall figure fills the ring. The F88 Austeyr’s cold forged chrome lined barrel required the installation at Lithgow of a multimillion dollar state-of-the-art hammer forging machine manufactured by Gfm GmbH – a company based in Steyr, Austria, where the rifle was designed. The machine – which s able to make barrels for any of the small arms in service with the ADF from the Austeyr up to .50 calibre heavy machine guns- recently underwent a multi phase $1.2 million thorough upgrade and overhaul program. Under the contract, GFM GmbH technicians from Austria spent more than 18 months virtually removing every nut and bolt in the machine and upgrading all of its controllers and electronic componentry. Although the F88 Austeyr is undoubtedly facing its most radical re-design and re-build in its 20-year service life, the rifle has been essentially been evolving since the first weapon was made at Lithgow. Initially, barrel length was the only variation between two basic models – the standard rifle came with a 507mm (20-inch) barrel, and it could be converted to carbine length by fitting a 407mm (16-inch) barrel. In 1993 The F88S (Special) version was introduced to allow the mounting of other sighting systems via an integrally cast AIMS (Accuracy International Mounting System) dovetail rail was introduced in 1993 and this variant was superseded in 1998 by the F88 Austeyr SA1 with a lighter and replaceable aluminium Picatinny rail housing. The standard optical sight for the F88 SA1 is internally identical to the original 1.5-power Swarovski Optik design but it is encased in a Thales Australia designed and manufactured housing – which does not have a nomenclature as such but has been allocated the part number 24 000 – that can be mounted on any weapon with a Pictatinny rail, including the F89 Minimi and Mag 58 machine guns. Some of the enhancements have been more subtle – such as minor changes to the rifle’s gas bleed system to better suit the Thales Australia manufactured 5.56 x 45 F1 round. The changes to the F88’s vent size in the barrel and gas plug were needed because the propellant used in the F1 round which gives it superior stability across a wide range of temperatures – particularly at higher altitudes – and longer shelf life burns at a different rate to its US and European manufactured counterparts. Beyond the upgrades, Thales has also worked with the ADF to examine how the weapon will be deployed, with the company’s Australian Transformation & Innovation Centre (ATiC) used to model groups of soldiers with different equipment configurations to deliver maximum capability.